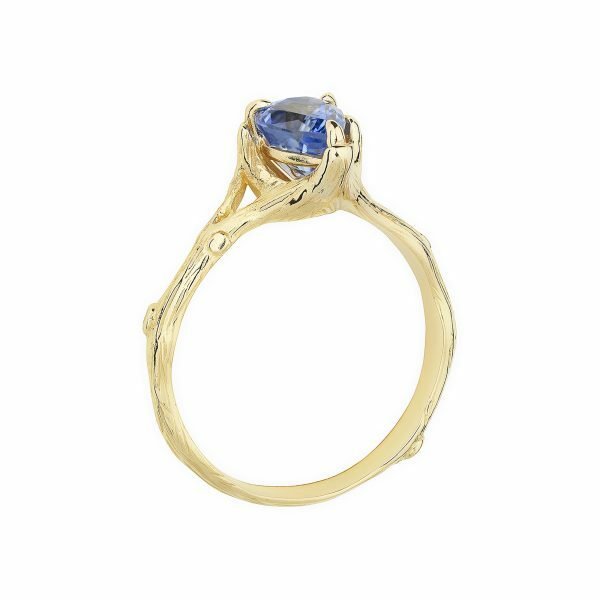 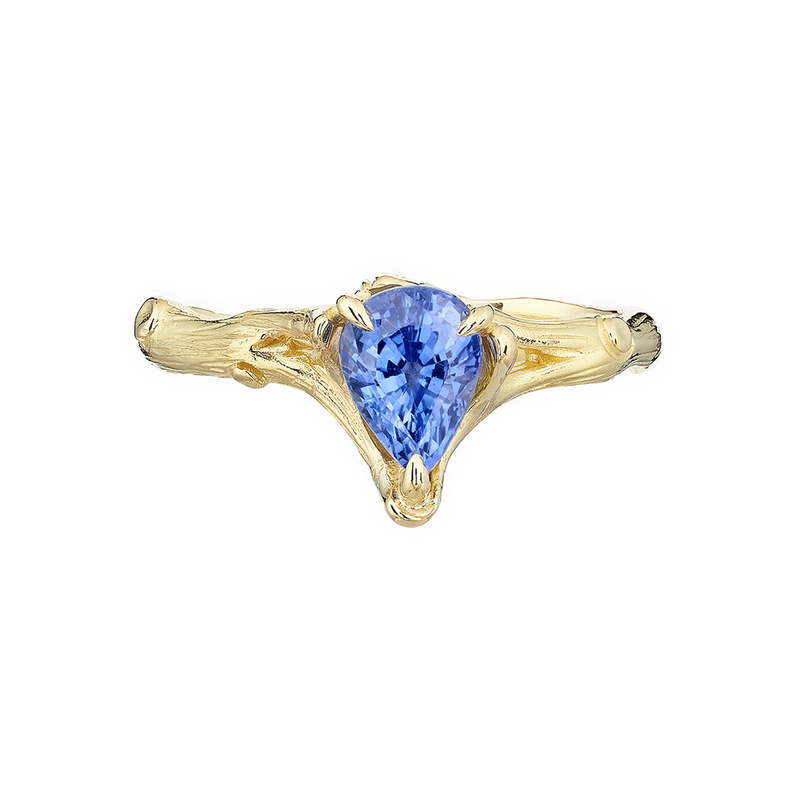 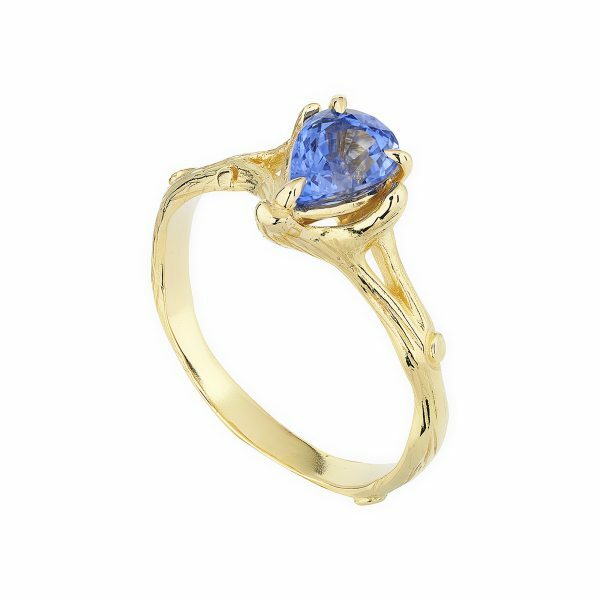 A stunning 18ct yellow gold Woodland ring claw-set with a beautiful, fine Cornflower 1.13ct blue pear-shaped sapphire. The band is delicately carved to emulate, not simulate, a twig or a branch inspired by nature. The finger size is an M.
If this ring is not in stock or you require a different metal or a much larger size please contact us – alternatively we can size this ring up or down a size or two.